The future of the main X-Men movies remains uncertain beyond X-Men: Apocalypse, but the franchise itself isn’t at a loss for upcoming team movies. New Mutants has been in development for the past year under the helm of The Fault in Our Stars’ Josh Boone, who turned in a new draft of the project a few weeks ago. Last month, producer Simon Kinberg mentioned that some some established X-Men characters would appear in the New Mutants movie, and now we can expect Professor X to be among the familiar faces. 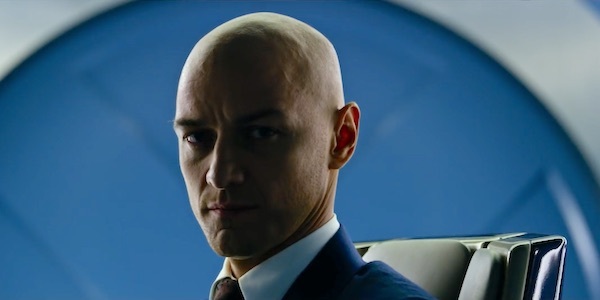 Right now, as the movie exists, Professor X would be a part of a New Mutants movie. Boone didn’t reveal whether it would be James McAvoy or Patrick Stewart in the wheelchair, but yesterday it was revealed that the next X-Men movie will take place in the 1990s. Assuming the term "X-Men movie" can be applied to any group feature within this universe, then this could apply to New Mutants, which would mean that McAvoy is the likelier candidate. (Not to worry, Stewart is reprising the role next year for Wolverine 3.) If that’s the case, though, they need to finally use makeup to make McAvoy look older, because it’s getting ridiculous how none of the main "First Class" characters look like they’ve aged over the decades. Professor X was among the characters rumored to be part of New Mutants in late March, but that lineup was later debunked. More recently, Josh Boone posted several images showing a more traditional New Mutants lineup, consisting of Wolfsbane, Mirage, Cannonball, Sunspot, Magik, and Warlock. Still, if this version of the team is anything like their comic book counterpart, they’ll be students at Xavier’s School for Gifted Youngsters, so we’d see them at some point being taught by the bald telepath. Assuming this movie does indeed take place in the ‘90s, that would it’s been approximately a decade since X-Men: Apocalypse, which, chronologically, is when his students were first sent out into the field as superheroes. That means has had plenty of time to train his other students how to use their powers to protect the rest of the world when necessary, and when the move begins, these teen heroes will be ready for their first adventure. New Mutants doesn’t have a release date assigned yet, but if it does start shooting next month, it’s a good bet we’ll see it sometime in 2018, especially since one of the dates Fox has dedicated for their Marvel-related projects is January 12, 2018.